Thank you for enquiring about Moet & Chandon. We have recieved your enquiry and our team will respond to you shortly. 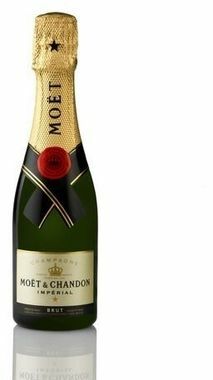 While you wait to hear from us why not check this product from Moet & Chandon that we think you will like. The world’s favourite Champagne, Moet & Chandon has built a reputation of expertise over the 250 years since the first bottles became available in 1743. Moet’s vineyards are renowned for their quality and diversity: 16 of the 17 Grands Crus are represented in over 1000 hectares. Longstanding access to many of the region’s best wines ensures that the consistency and balance of Moet’s unique style continues to be appreciated throughout the world. Benoit Gouez, Chef de Cave. A vivid pink colour, it has flavours of red berries and cherries. The luscious palate combines sweetness and firmness, with a refreshing finish of pink grapefruit.